Hey there guys! Happy Monday! I've got a little breakfast treat for you, and-on top of that-I'm gonna introduce you to my new favorite thing: Zulka Pure Cane Sugar. You're probably all like-huh? What's that? Don't worry fair readers, I'm getting to that. Zulka Pure Cane Sugar is a Non-GMO Project verified “Morena” sugar. Morena sugar describes granulated sugars that do not undergo conventional refining processes, which remove the complexity and flavor in raw sugar cane after it has been pressed. So to sum up-it's like all natural n stuff AND you can use it to replace granulated sugar cup by cup (so a recipe calls for 1 cup granulated sugar? Use 1 cup Zulka. Simple.) for cooking, baking, beverages, in coffee...literally anything. I've always been semi-skeptical about using natural sugars in my baking (WHAT IF IT DOESN'T TURN OUT RIGHT??!) but omg I am in love with Zulka Pure Cane Morena Sugar! It's completely revolutionary. I've been using it in everything, and all has turned out perfect (and tasting even better)! To celebrate the awesomeness, all 3 recipes I'll be sharing this week are featuring the Zulka Sugar (and they all have healthier twists to them). Fun right? So-Zulka is sold at major retailers nationwide, so you should be able to get your hands on it (trust me, you want to!) and you can also keep up with them via facebook and twitter! 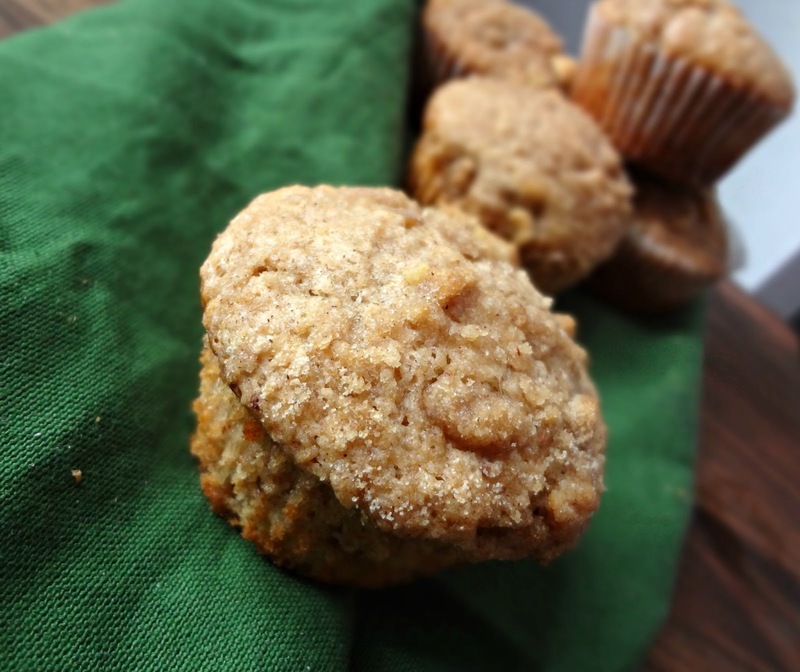 To be more exact-coffee cake muffins. 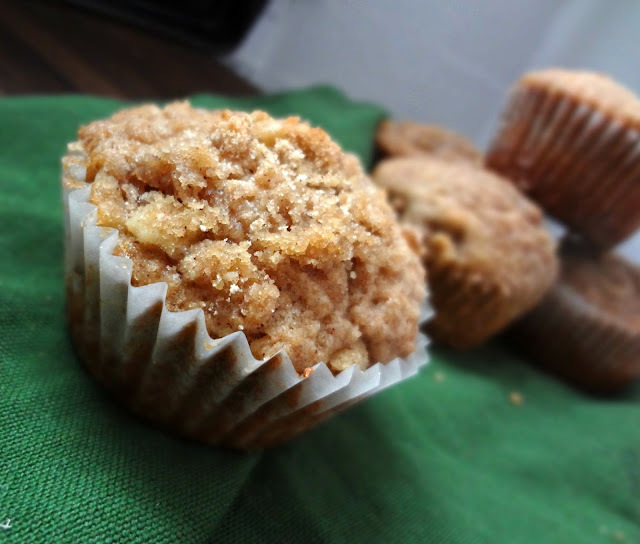 These are absolutely the perfect mix of muffin and coffee cake-they have a wonderful crumb, and just the right amount of streusel. And they served me well for those crazy pre-shoot mornings. I'm sure they'd be equally (or even more) wonderful on a lazy morning with a mug of coffee/tea and a newspaper...or whatever people do in the mornings. Yeah. 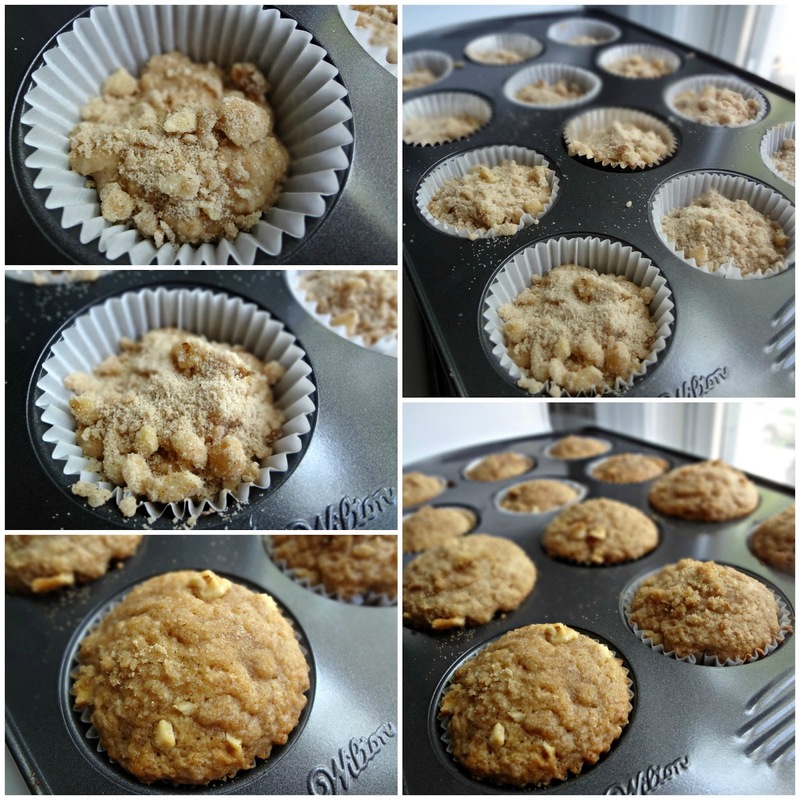 Grease 12 muffin cups (or fill with paper bake cups) and preheat oven to 400 degrees. 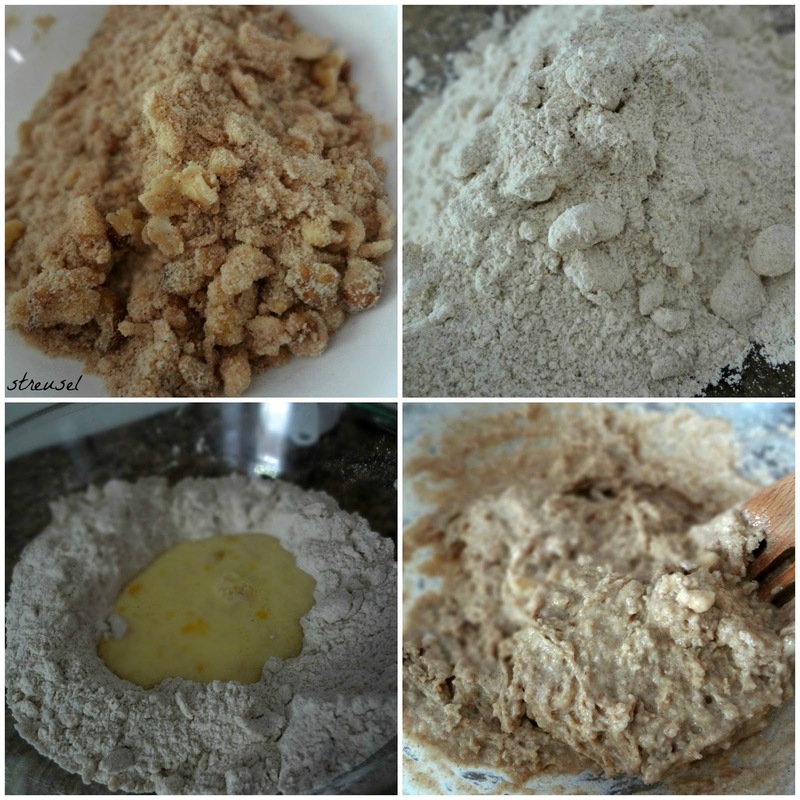 To make streusel: in a small bowl combine flour, brown sugar, and cinnamon. Then cut in the butter until the mixture resembles coarse crumbs. Stir in nuts (if using). In a medium bowl combine all purpose and whole wheat flours, granulated/morena sugar, baking powder, cinnamon, ginger, baking soda, and salt. Cut in butter until the mixture resembles (again) coarse crumbs. In a separate bowl whisk together the egg and buttermilk. Make a well in the center of the dry ingredients and pour in the egg/milk mixture. Stir until moistened and lumpy (add more milk if needed). Divide half the batter between the 12 muffin cups (they'll be about a third full). 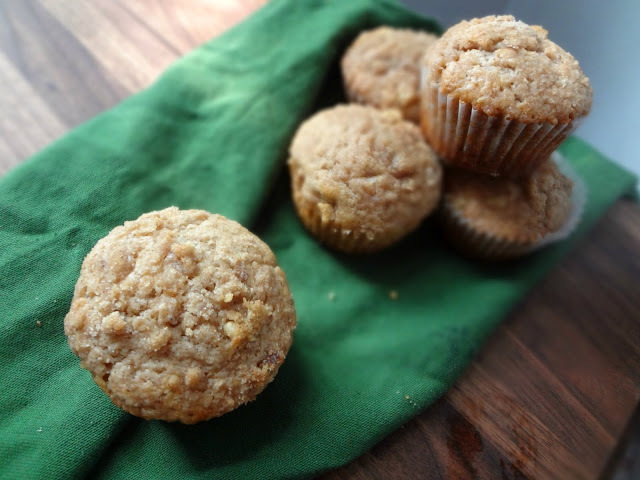 Sprinkle half the streusel over each. Then fill with the rest of the batter, then the rest of the streusel on top. Bake 15-18 minutes, until golden and a wooden toothpick inserted in the center comes out clean. Cool in muffin cups on a wire rack for 5 minutes. 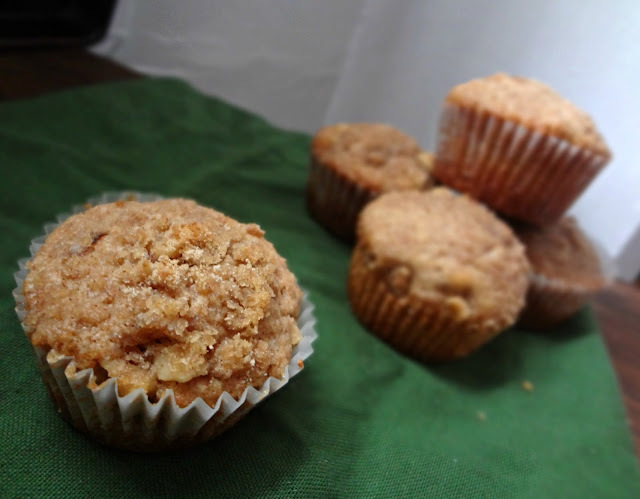 Remove muffins. Serve warm or at room temperature. Store in an airtight container @ room temp. Disclaimer: I was provided with a bag of Zulka Pure Cane Sugar to try, but I was under no obligation to review if I so chose. Nor was I under any obligation to write a positive review in return for the free product. My opinions, as always, are all my own.